Culture is a fuzzy kind of idea. We all point to it when we see it among others, but when asked to place a universal boundary around it to define it as framing much of what we do ourselves, we run into trouble. When we design and develop made worlds with, and for, other cultures, or when we think how we engage in the worlds made by others, the opportunity manifests itself to see how culture can be embedded not only in the choices made to create the artifacts, systems, or symbols but significantly in the socio-cultural and even natural resources that must have been evident to produce, maintain, and evolve them. In this sense, the made worlds we design and come to accommodate or curse, required both a community and an ecology a priori. 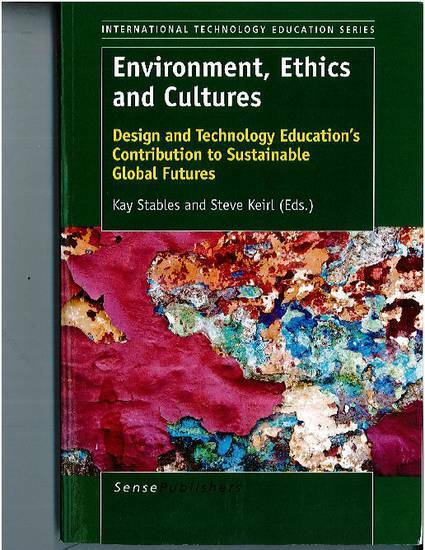 Conversely, the designed world gives evidence of culture and community, and the presence of an ecology that offered up something to transform and consume: ipso facto an education in design and technology is an education in the dependencies that necessarily exist between humanity, the designed world, and the ecology.